Canadian author Kelley Armstrong has published twenty-one novels, over half of which are based in her "Women of the Otherworld" series, which feature a bevy of supernatural creatures struggling to blend into human society. 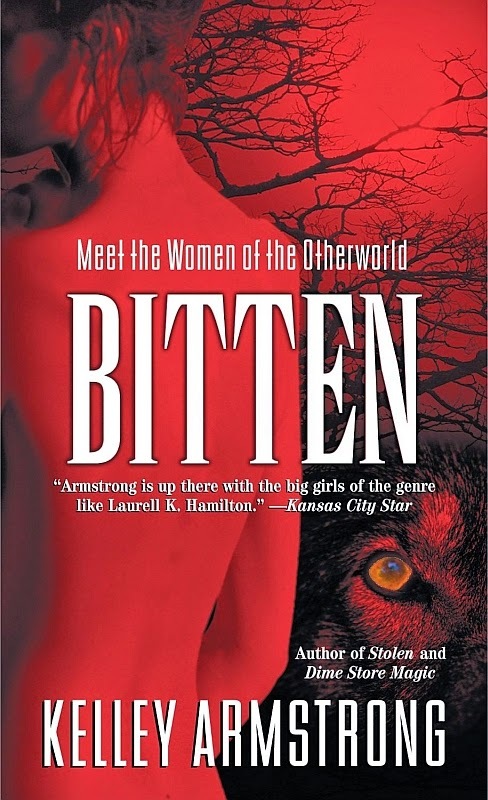 The first book in this series, Bitten, tells the story of werewolf Elena Michaels, and was Armstrong's first novel. Written in 2001, it was nominated for the best first novel award from the International Horror Guild, and has recently been adapted as a TV series of the same name. The second novel, Stolen, also featured Elena, and introduced witches into the mythology. They then became the focus, until it shifted to other creatures of the night, including ghosts, demons, and vampires (all of which were featured in subsequent books). Elena returned in Broken (book #6) and Frostbitten (book #10). In Bitten, Elena Michaels has abandoned her pack, and is trying to eke out a "normal" life in Toronto. She lives with her boyfriend, who's oblivious to her otherworldly nature, and she does her best to ignore the beast inside her altogether. She's the only known female of her kind, and is tired of being called upon to hunt down rogue werewolves. But after a young woman is murdered in the vicinity of Stonehaven--a secluded residence in Upstate New York owned by her pack's Alpha--Elena is drawn back into the life that she longed to leave behind. Armstrong's mythology differs, in some respects, from the standard werewolf tropes. Her beasts are not affected by the phases of the moon; they can transform at will, and some of them can even alter a certain body part if need be. They age slower than humans, and can be killed in any way that a human can--no silver bullets needed here. Unlike traditional werewolves, they transform into large wolves, all the while maintaining their identity, although they are driven more by instinct; and they retain some beastly characteristics (advanced sense of smell, and hearing) when in human form. The TV series adaptation has completed its first season, and is scheduled to return in 2015. Later this month, Armstrong will be releasing Otherworld Nights, the first of three "Otherworld" anthologies that will collect previously-published stories, peppered with new material. So ends werewolf week of 31 Days of Horror (2014 Edition). Next week will focus on Frankenstein's Monster, featuring some very interesting incarnations!